Amazon Studios has ordered pilots for two dramas, one of which — Bosch — is based on a character created by Michael Connelly. Connelly will co-write the screenplay with Eric Overmyer (The Wire) and is reported to be an original story. The series is centered on Bosch as he stands trial for the murder of a suspected serial killer all the while continuing the chase for the killer of a 13 year old. "Sharing this story with television audiences is very exciting, something that's been twenty years in the making," said Connelly in a statement. "It is amazing to have it come together with the synergy of Amazon — the world's largest bookstore — along with accomplished creator and showrunner, Eric Overmyer, and Fabrik, a production company dedicated to loyalty to the books. Harry Bosch can be in no better hands." Titus Welliver (Argo) has been cast to play LAPD homicide detective Harry Bosch. 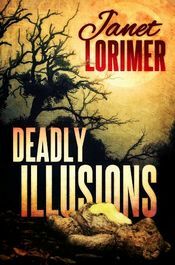 Deadly Illusions by Janet Lorimer seems to be a stand-alone, full-length novel by an author probably best known for her "quick reads" series of stories in a variety of genres. He's Max Bennett, a stage magician who also debunks phony spiritualists. She's Catherine Lindsey, a beautiful and reclusive heiress who claims that her twin sister Caroline is coming back from the dead to kill her. As Max works frantically to unravel the sisters' dark and terrible secrets, he begins to suspect that something even more sinister is at play. MystereBooks is pleased to feature The Flatey Enigma by Viktor Arnar Ingólfsson, now available at a special price, courtesy of the publisher, AmazonCrossing. This title is part of the Kindle Countdown Deals, limited-time discounts on Kindle-exclusive books. Use this link to see a complete list of titles in all genres. The ebook format of this title was priced at $0.99 from the listed vendors (below) as of the date and time of this post (10/31/2013 at 4:00 PM ET). Prices are subject to change without notice. The price displayed on the vendor website at the time of purchase will be the price paid for the book. Please confirm the price of the book before completing your transaction. Before long another body is found on the tiny island. This time, in the ancient Viking tradition, the victim's back has been mutilated with the so-called blood eagle. 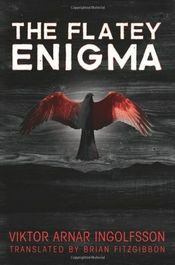 Kjartan, the district magistrate's representative sent to investigate the crime, soon finds himself descending into a dark, dangerous world of ancient legends, symbolism, and secret societies to find a killer. Site News: Starting tomorrow, November 1st, 2013 we will once again be sending out our daily update to subscribers just once a day. We now average 15-18 posts a day and we thought that spreading these out to twice a day e-mails would be beneficial to our subscribers. However, based on feedback from subscribers and those who chose to tell us why they unsubscribed, the overwhelming reason is "too many updates". Therefore, beginning tomorrow, we will be sending only one update a day, to be delivered to your in-box sometime between 10 AM and 1 PM ET. Thanks so much for subscribing to Omnimystery News and if you have something to tell us, we welcome hearing from you. 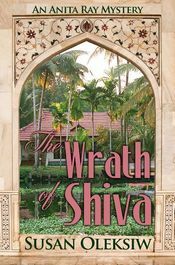 The Wrath of Shiva by Susan Oleksiw is the second cozy mystery in this series. Set in a tropical paradise in South India, the storyline pulls back the curtain on traditional culture overwhelmed by the modern world. It was first published in hardcover by Five Star in July 2012. On an old estate along a quiet river in South India, a family waits for the arrival of a granddaughter they haven't seen in quite a while. When she fails to appear, they begin to worry. Anita Ray arrives at her grandmother's house to comfort the family and try to figure out where her cousin has got to. While she is there, a maidservant falls into a trance and reports that Devi, the Great Goddess, is angry with the family, very angry. Even worse, the maidservant predicts that Surya, the granddaughter, will never arrive. When the family astrologer advises an exorcism to cure the maidservant, Anita becomes curious about the astrologer, his associates, and a number of family antiques that have gone missing. 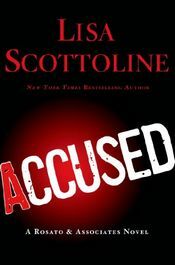 Today's new hardcover mystery title, scheduled to be published this week by St. Martin's Press, is Accused by Lisa Scottoline. Mary Dinuzio has just been promoted to partner and is about to take on her most unusual case yet, brought to the firm by a thirteen-year-old genius with a penchant for beekeeping. Allegra Gardner's sister Fiona was murdered six years ago, and it seemed like an open-and-shut case: the accused, Lonnie Stall, was seen fleeing the scene; his blood was on Fiona and her blood was on him; most damningly, Lonnie Stall pleaded guilty. But Allegra believes Lonnie is innocent and has been wrongly imprisoned. The Gardner family is one of the most powerful in the country and Allegra's parents don't believe in reopening the case, so taking it on is risky. But the Rosato & Associates firm can never resist an underdog. Was justice really served all those years ago? It will take a team of unstoppable female lawyers, plus one thirteen-year-old genius, to find out. 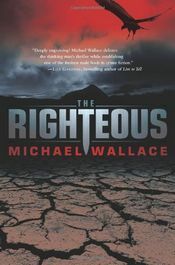 MystereBooks is pleased to feature The Righteous by Michael Wallace, now available at a special price, courtesy of the publisher, Thomas & Mercer. This title is part of the Kindle Countdown Deals, limited-time discounts on Kindle-exclusive books. Use this link to see a complete list of titles in all genres. The ebook format of this title was priced at $0.99 from the listed vendors (below) as of the date and time of this post (10/31/2013 at 2:00 PM ET). Prices are subject to change without notice. The price displayed on the vendor website at the time of purchase will be the price paid for the book. Please confirm the price of the book before completing your transaction. Deep in the Utah desert, the small polygamous community of Blister Creek has a history of protecting its own. Even when a young woman is brutally murdered just blocks from her home, the residents of the conservative enclave close ranks. But just because they don't want outside law enforcement in their business doesn't mean the murder will go unpunished. More than a thousand miles away, Jacob Christianson, a medical student and son of a devout church elder, learns of his cousin Amanda's murder. Though Jacob is skeptical of many of the community's fundamentalist beliefs, his sharply analytical mind and family connection to the victim earns him the assignment of investigator into Amanda's death. 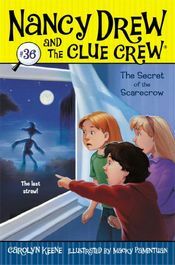 Jacob heads to Blister Creek, accompanied by his inquisitive younger sister, Eliza, to probe the bizarre circumstances of their cousin's violent death. It doesn't take long for the pair to realize that Amanda's murder was no random act; rather, it is part of a covert plot to overthrow the church's leaders. 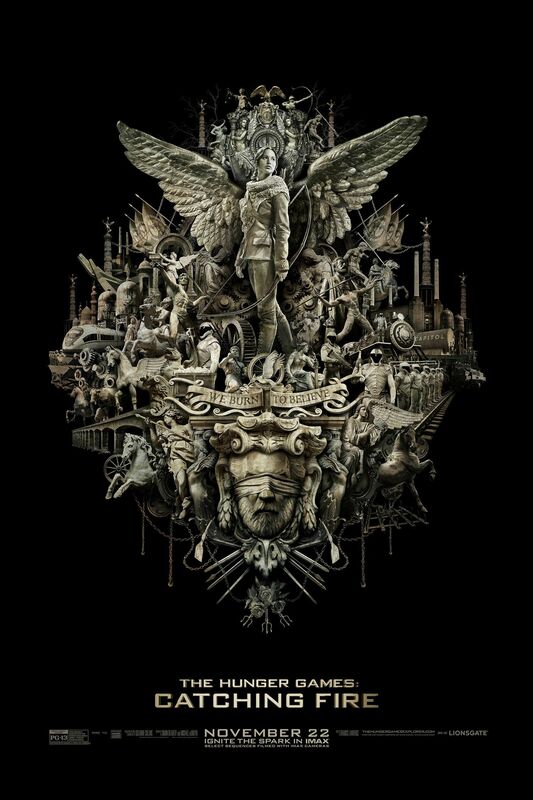 A new, intricatedly designed IMAX poster has been released by Lionsgate for The Hunger Games: Catching Fire (right; click for larger image). 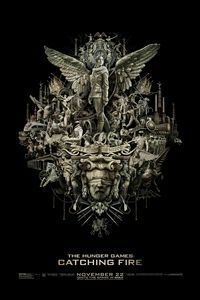 The tagline: "We burn to believe". There's quite a bit of symbolism going on here! 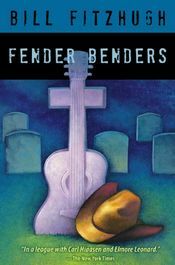 MystereBooks is pleased to feature Fender Benders by Bill Fitzhugh, now available at a special price, courtesy of the publisher, Reduviidae, Inc.. The ebook format of this title was priced at $0.99 from the listed vendors (below) as of the date and time of this post (10/31/2013 at 1:00 PM ET). Prices are subject to change without notice. The price displayed on the vendor website at the time of purchase will be the price paid for the book. Please confirm the price of the book before completing your transaction. Winner of the 2002 Lefty Award for Best Humorous Novel. Eddie's friend, freelance writer Jimmy Rogers, senses a great opportunity and sets out to write the life story of Nashville's newest sensation. But Jimmy's research unearths some troubling facts about the death of Eddie's wife, facts that could ruin Eddie's burgeoning career — while making Jimmy a star of the publishing world. Throw in a beautiful and opportunistic country radio DJ, a pair of wily record producers, and a naive young singer-songwriter, and the stage is set. Everybody plans to make a killing — one way or another. It's murder on Music Row, where things don't always turn out as planned. 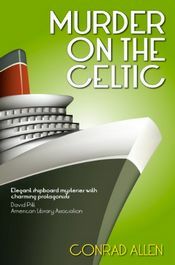 Murder on the Oceanic and Murder on the Celtic by Conrad Allen are the 7th and 8th (and most recently published) books in this series featuring ships detectives George Porter Dillman and Genevieve Masefield and first published in hardcover by Minotaur Books in February 2006 and February 2007, respectively. Conrad Allen is a pen name used by Edward Marston. 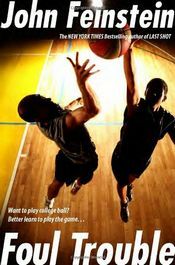 Use this link to see a complete list of all eight titles in this series on Amazon's Kindle Store. 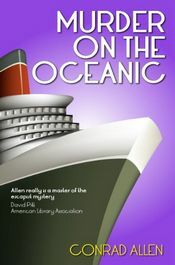 George Dillman and Genevieve Masefield have to be on their mettle when the great J.P. Morgan sails to New York with them on the Oceanic, a vessel that belongs to a shipping line Morgan owns. The death of his bodyguard and the theft of priceless paintings from his stateroom throw everything into confusion. The presence on board of an unwanted suitor for Genevieve, and a mad Welsh artist with his wife and mistress in tow, complicate an already difficult situation. The only way to placate the infuriated J.P. Morgan is to solve the murder but time is limited and there are far too many suspects. When they sail from New York on the Celtic, a White Star ship, George Dillman and Genevieve Masefield face an immediate problem. They are warned that a dangerous criminal may be aboard. Genevieve excites the interest of two passengers, a Briton and an American, who compete for her attention. Also on board is the creator of the most famous fictional detective of them all — Sherlock Holmes. Dillman is delighted to meet Sir Arthur Conan Doyle but the author is soon the victim of a crime when his annotated copy of A Study in Scarlet is stolen. More thefts follow. Sir Arthur and his wife attend a séance and Genevieve, though highly sceptical, also wishes to see the medium in action. The leisured luxury of first class is contrasted with the privations in steerage where some passengers are emigrants who were refused entry to America. One man is so distressed that he contemplates suicide. While the Celtic sails on, Dillman and Genevieve work frantically to solve the various crimes even though they put themselves in jeopardy. An interested observer, Sir Arthur Conan Doyle learns the essential difference between detection in a story and in practice. 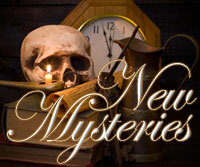 First Clues: Mysteries for Kids is pleased to announce a selection of new mystery, suspense and thriller books (including series titles) scheduled for publication during November 2013, listed in approximate order of reading level, from books for younger readers to books for teens and young adults. 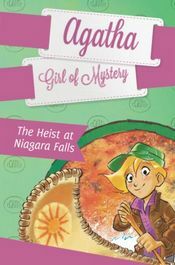 The fabulous, jet-setting mysteries continue with hip and headstrong Agatha ready to solve the case! Agatha and her cousin Dash have been summoned to Niagara Falls. Priceless jewels have gone missing from the hotel room of a famous opera singer — it is believed to be the work of Canada's most notorious thief, Ratmusqué. Will Agatha be able to solve the mystery? On a class trip to the Cornell Mission, The Code Busters learn about Hippolyte de Bouchard, California's only known pirate. Now the Code Busters are on the trail of a new prize: pirate gold! But with a fortune at stake, the codes are bound to be hard. 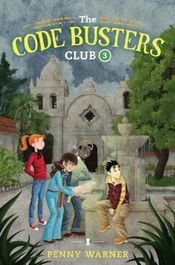 Will the Code Busters be able to figure them out, or will this mystery prove to be too difficult to solve? The Thea Sisters are in Kenya on a photo safari! The mouselets love exploring the magnificent landscape and learning about the animals on the reserve they're visiting. A lion cub has just been born — but while they're there, he's kidnapped! 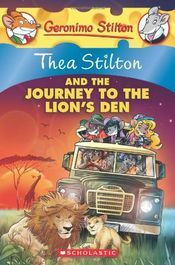 It's up to the Thea Sisters to rescue him in an adventure across the savanna. 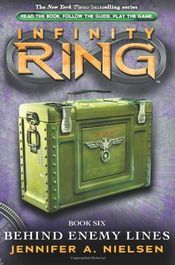 Dak, Sera, and Riq involve themselves in one of the most bizarre spy missions in history … and the outcome of World War II hangs in the balance. Danny Wilcox would tell you a different story. Danny is Terrell's best friend and teammate, and a top prospect himself. But he sees that not all of the people buzzing around Terrell have his best interests at heart. The sneaker guys, the money managers, the college boosters — they're all so eager to help. And to get rich themselves in the process. We are delighted to welcome mystery author Pamela Rose to Omnimystery News today. Pamela introduces amateur sleuth Finn Sherlock in Sherlock's Home: The Adventure of the Contentious Crone (Pamela Rose; June 2013 ebook) and we recently had the chance to chat with her about her new series. 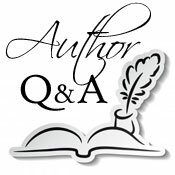 Omnimystery News: When starting out a new book, how do you decide if it will be a stand-alone title or one in a series? Pamela Rose: The first two books I wrote, The Eyes of the Jaguar and A Thyme to Harvest, are both stand-alone mystery novels. I never planned to write more about either of them. Interestingly enough, in retrospect, either of them could have been designed as a series. And, to be honest, I have had requests from readers to do that very thing. The third novel, Sherlock's Home: The Adventure of the Contentious Crone, I deliberately created an imaginary environment ― Sherlock's Home Mystery Bookstore and its adjunct 221b Bakery ― with three central characters that could be emphasized or de-emphasized as the plot demanded in the novels to follow. For me, the criteria are, "How many scenarios can be related believably to these characters and this setting?" The first two books I plotted down to the nth degree, the last one I just went with the flow. As it turns out, I found several serendipitous happenings along the way when I implemented this. OMN: Into which mystery genre would you place your books? PR: The Eyes of the Jaguar is a mystery adventure. A Thyme to Harvest and Sherlock's Home are mystery cozies. I actually like the idea of genre sub-categories. I think this refinement gives the reader a heads-up about the writing technique the author has taken with his or her books before they even read the book description. As I am a reader as well as a writer, I appreciate that distinction. OMN: Is the alliteration of "Contentious Crone" in the title intentional? PR: I've planned a total of 26 books within the Sherlock's Home series … one for every letter of the alphabet. Contentious Crone is the first, the second (working title) Indigo Idiot, etc. They will continue to be written in non-consecutive order, as the muse moves me. PR: I love it when a reader asks me why I didn't do something they expected to be forthcoming. For example, I had a reader ask me why I didn't include the recipes mentioned in my book at the back for readers to make for themselves. Good question. Two-fold answer: Although I know other writers include recipes quite successfully, that was never my intention as a writer. It seems that too many recipes are a distraction and take away from the real purpose of a mystery, which is to solve a crime. But, again, many readers love this feature in a mystery novel, so who am I to say it's a bad idea? Secondly, having had readers actually request these recipes, I've decided to selectively include them somewhere. It may not be in the book itself, but on my website or Facebook page … somewhere like that. One reader said that her son-in-law decided to improvise and was making his own recipe for the Hogs & Heads BabyCakes. I love that! OMN: What is the harshest criticism you've received as an author? PR: To date, the harshest comment I've received on Sherlock's Home was that the reader thought Echo and Finn "were really thoughtless and crass" because they didn't express enough sympathy for the crone. I found that interesting because there was a rather large passage where Finn uncovers the reason for the crone's conduct and expresses her increased motive to unearth the killer in the light of this new understanding of the Crone's unthinkable situation. Echo does likewise. I think the value I took away from this particular comment was the realization that reviewers, like writers, are human. Everything anyone sees is filtered through a lens that is their own unique and personal slant on the world. In other words, this is one person's opinion. (Good to keep in mind for ALL comments, not just negative ones.) I certainly consider a reviewer's remarks, but ultimately decide if it is valid or not. If I would give any advice to another writer, it would be to move on … there's every possibility that someone else will commend you for the very thing the other person just dinged. In the end, your own opinion about your work is the one that matters the most. OMN: How do you go about researching the plot points of your books? PR: Oh, I fact check everything. Sometimes even the things I think I know. Oftentimes the Internet is my source, sometimes books. But, my absolutely favorite source is firsthand experience. I love to go to the source and see for myself what that particular experience is like. I've gone to some great lengths to achieve this: taken workshops, traveled to foreign countries, talked to experts and so forth. My most exciting research to date was gathering information I wanted for my first book, The Eyes of the Jaguar, a mystery adventure novel. It includes information about the ancient Aztec and Mayan culture. I wanted to experience the ruins and the country where these ruins are located. To do so, I went to Mexico and into the Yucatan jungle. What I discovered is that even today there are many, many ruins that are only partially excavated, with many more waiting yet to be discovered. These ancient Indians were quite prolific. I also discovered bloodthirsty mosquitos the size of pterodactyls. I could've done without those. OMN: You mentioned you live in North Carolina and your books are set in the Southeast. Probably not a coincidence! PR: I've set my books in the south. I think it's a charming environment as well as beautiful. If one follows the advice, "write what you know," then this what I know. I also think it is an environment that lends itself to quirky, eccentric characters; hopefully memorable ones. The dichotomy of Sherlock's Home in Dixieland … now who could resist that! OMN: What kinds of films do you enjoy watching? PR: Oh dear. My guilty pleasures are James Bond movies, and I watch them repeatedly. Ian Fleming was one of the non-mystery writers that I cut my teeth on, reading every 007 book I could get my hands on. For me, Sean Connery will always be James Bond. Although I have to say, Pierce Brosnan's wit was delightful and Daniel Craig's interpretation of Bond is closer to Connery's — the blond "Bond-shell." Skyfall was great, although I detested that the writer killed off "M" as played by Dame Judi Dench, tough old bird that she was. Sorry, I digress. Suffice it to say, none of this inspired my own writing. OMN: What are some of your outside interests? PR: Aside from the aforementioned cooking and baking, which I love to do when I have the time, I also like to "repurpose" things. For example, I have a project that I'm selectively working on now of a fireplace screen for my brick fireplace. A friend had an antique cast iron gate that came off its hinges and she decided she didn't want anymore. As luck would have it, it just fits the opening in my brickwork. It's quite beautiful, in a French style with fleur de lis finials on the posts. I'm in the process of refinishing it, adding supporting legs (inverted corbels that I scavenged elsewhere) and making a fireplace screen that is beautiful, decorative and functional. It also fits in with my French Country décor. Repurposing satisfies the pro-environment desire I have to reuse and recycle. And if it turns into a stellar piece of design, that's the icing on the cake. And yes, such a practice might wend its way into my books. The opening scene for Sherlock's Home has the twins creating authentic-looking tombstones out of foam. I actually have done that, creating a small cemetery in my front yard at Halloween. Like the Sherlocks … I get a kick out of "All Hallows Eve." PR: That's an easy question for me, since I've already slated a total of 26 books in the Finn Sherlock series. Holy cow … I'd better get busy! Pamela Rose currently lives in the mountains of North Carolina with her tuxedo cat Jake who amuses himself by impersonating a multi-syllabic, tirelessly fetch-playing dog. Also being of a benevolent mind, Jake graciously allows Pamela to serve as his personal valet in exchange for long periods of quiet in which to write. For more information about the author and her work, please visit her website. She also has a Finn Fan Club page on Facebook that provides more information about her series character. Life imitating art? That's Finn Sherlock's first bizarre thought when she stumbles across a dead body within the Civil War era hiding place inside Sherlock's Home Mystery Bookstore. Thinking that it's her gnome-like Uncle Oz costumed to play the part of a fortunetelling druid for "All Hallows' Eve", she is relieved when she learns that the hooded figure is not her favorite uncle, but the town's favorite outcast, Odds Bodkins. Unfortunately, murder suspects abound due to the fact that the mystery bookstore and its adjoining 221b Bakery were the first stop on the Leapers Point' Halloween circuit and any number of people were on the scene for the annual "Fright Night" tour. More than that, Odds Bodkins was almost universally detested; far too many would agree that the assisted demise of the loathsome little witch was more treat than trick … possibly even a community service. With a little help from Uncle Oz and her identical twin sister, Echo, Finn sets out to discover who amongst the congenial southern townsfolk had the audacity and plain bad manners to murder the contentious crone right under the Sherlock family noses. Was it the fire and brimstone preacher Willie Ping? ‘Blooming Idiots' talented but slightly mental florist? Or what about fluffy nonagenarian Eula May Binks … can anybody really be that sugary sweet? But, when the local Sheriff, Wavy Davey, learns that it was Uncle Oz's Halloween prop — a bona fide hangman's noose — that was the murder weapon, there's more heating up inside the 221b Bakery than just the ovens. MystereBooks: Kindle eBooks for $1.40 Each! There are a number of mystery, thriller and suspense Kindle ebook titles — 38 as of the date and time of this post — that are currently priced for $1.40 each. Yes, that's an odd number but we're guessing that this is a price match to the same titles on the Sony eBookstore … though why Sony chose this price is a "mystery" to us! There are some great authors and books listed here. Novels by Louise Penny, David Rosenfelt, Jeffrey Archer, Linda Castillo, C. J. Box, and Eric Van Lustbader to name just a few. Here is a link to the books on Amazon.com. This is likely to be a very limited time offer only, maybe just through today, so if any of these Kindle ebooks are of interest, download them today! MystereBooks is pleased to feature Pasted by Marianna Roberg as today's third free mystery ebook (A Peyton Reynolds, Broom Closet Mystery; Kindle format only). This title was listed for free as of the date and time of this post, October 31, 2013 at 7:30 AM ET. Prices are subject to change without notice. The price displayed on the vendor website at the time of purchase will be the price paid for the book. Please confirm the price of the book before completing your transaction. After years of an on and off again relationship, New Age shop clerk Peyton Reynolds thinks she's finally got Rob Morris out of her system. That is, until he dies and starts following her around like an undead puppy. Peyton figures that if she can help Rob solve his murder, maybe he can move on. But it isn't as easy as it sounds. Poking her nose into his death lands Peyton in the middle of some very nasty business involving a twisted love triangle, unscrupulous business practices, missing cleaning ladies, and a lot of tacky gold jewelry. To further complicate matters, Peyton's got a hunky new coworker, who seems to want more than just a palm reading. 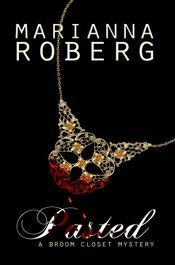 As the body count rises, she rushes to solve Rob's murder and put a stop to things before someone makes Peyton herself a ghost.